In New York City, First Lady Michelle Obama spoke at the League of United Latin American Citizens (LULAC) convention, promising that her husband would act on his own to fix the broken immigration system. Obama reminded the attendees that they couldn’t wait for Congress to act on their future and urged them to seize opportunities on their own. The First Lady reminded them of the history of social injustices that Latinos suffered in America which inspired the founder of LULAC to start his organization in 1929. In the January 27 issue of People Magazine, First Lady Michelle Obama cites Jane Fonda as a role model. "[And] there's Jane Fonda, a beautiful, engaged, politically savvy, sharp woman," Michelle Obama responded after being asked by People who she would someday want to look and live like. PEOPLE: And there are other role models you look at and think, "When I'm 70 or 80, I want to look and live like her'? MRS. OBAMA: Oh, yes. Every event I go to, every rope line, women are looking better with every passing year. I run into women all the time who will just happen to mention, "Oh, I'm going to be 60," and it's like, "You're kidding me!" I just went to see Cicely Tyson on Broadway. She is in her 80s and did a two-hour play with stamina and passion. I told her, "I want to be you when I grow up!" [And] there's Jane Fonda, a beautiful, engaged, politically savvy, sharp woman. For the last fifty years, Fonda has been one of the most divisive political and cultural figures in America. Fonda earned the nickname "Hanoi Jane" after photos were released of the actress laughing it up with our enemies in North Vietnam while sitting on an anti-aircraft gun used to shoot down American flyers. While the war was still raging, Fonda attacked the American government and our troops in propaganda radio broadcasts for the North Vietnamese. Recently, as the Iraq War waged, Fonda resumed her anti-war activities. Among America's veterans, "Hanoi Jane" remains one of the most reviled figures in American history. Still, America's First Lady considers Fonda a role model and sees her as "politically savvy." When you are reminded that the First Lady and the President spent 20 years in Reverend Wright's church, Michelle Obama's choice of Fonda as a role model isn't likely to surprise anyone. First lady Michelle Obama didn't take well to being shouted down by a protester Tuesday. Michelle Obama confronted a gay-rights protester who heckled her at a Democratic fundraiser in Washington on Tuesday, offering to give her the microphone and leave, before the crowd cheered for the first lady to stay. Obama was 12 minutes into a planned 20-minute speech at a couple’s home when a woman standing at the front of the small crowd interrupted, demanding that President Barack Obama sign an executive order on gay rights. “One of the things I don’t do well is this,” the first lady said before walking down from the lectern and approaching the protester, according to a pool reporter covering the event. Obama then returned to the lectern and finished her speech, getting loud applause as she did. Those in attendance, apparently including the protester, had paid $500 to $10,000 for tickets to the event, which was held at the home of power couple Karen Dixon and Nan Schaffer. The heckler was identified as Ellen Sturtz, an activist with the GetEQUAL campaign group, which campaigns for lesbian and gay rights, by several media. Sturtz told The Washington Post that she was surprised by the first lady's actions. Michelle Obama appears to be everywhere these days, and that’s got critics questioning whether a first lady should be so ubiquitous. Obama talked up hairdos with Rachael Ray, released two public service announcements with Big Bird, and promoted her anti-obesity campaign with a now-viral segment on Jimmy Fallon. She then capped a week’s worth of public appearances with a surprise appearance on the Oscars, where she announced the Best Picture winner. Conservative columnist Jennifer Rubin said Obama's role at the Academy Awards went too far, trivializing the White House and made "both the president and the first lady seem small and grasping." “There is a sense of going too far and too much and becoming so ubiquitous that people don't consider you something special,” Rubin told NBC White House correspondent Kristen Welker. “She is the first lady for goodness sakes. She's not just a Hollywood celebrity." Advertising executive Donny Deutsch agreed, calling the first lady "an uninvited guest." "You are putting politics, like it or not, in a space that people are not necessarily invited into their home for," he said Tuesday on TODAY's Professionals panel. Obama will hit the road this week to promote the third anniversary of her “Let’s Move” campaign to fight childhood obesity. The two videos she released last week with Big Bird, the Sesame Street character who became a political football during the presidential campaign, highlighted her efforts to encourage kids to eat healthy and become more active. She then literally acted out her “Let’s Move” motto on the late-night circuit when she performed a dance skit with Jimmy Fallon. New York Times journalist Jodi Kantor, author of the book “The Obamas,” said the appearances are part of a carefully crafted public relations plan. "It's almost as if her real strategy is a kind of charm offensive that is then intended to build support for her husband's initiatives,” she said. Like all first ladies, Obama is trying to develop a second-term agenda that won’t distract from her husband’s. But she's probably feeling a confidence in her role that may not have been present in her first term, said Anita McBride, who served as chief of staff to Laura Bush. Obama aides won’t reveal much about her plans for the next few years, other than saying they will share details in the next few months. In addition to her anti-obesity campaign, she’s also expected to continue her work to help military families. “The one rule that Michelle Obama always follows is that she never wants to distract from her husband's agenda,” Kantor said. "Argo" during the 85th Academy Awards. Talk-radio host Rush Limbaugh says there was supreme irony and a possible “conspiracy” in having first lady Michelle Obama present the award for best picture Sunday night at the 85th annual Academy Awards. “There was some real irony last night that zipped by and blew by a lot of people,” Limbaugh noted, saying it was the first time in a decade he had watched the entire broadcast from start to finish. 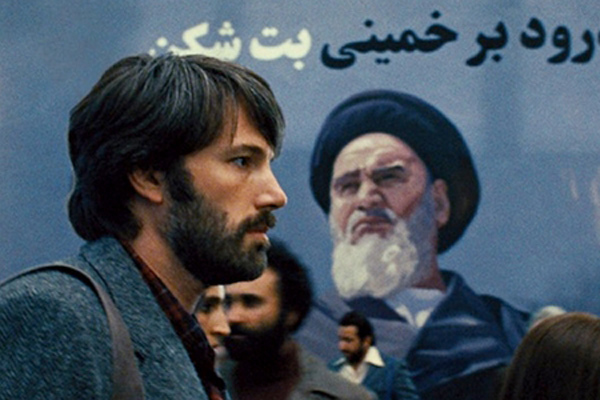 “The best picture award last night went to a movie named ‘Argo,’ which was about what? The rescue of embassy personnel under attack in Iran. The wife of the commander in chief who failed to rescue four Americans at an embassy/consulate in Benghazi presented it, and talked about how important it was, and how necessary it is and how great it was and all that. “I can’t get over it,” he continued. picture Oscar at the 85th Academy Awards. Limbaugh said “Argo’s” victory for best picture was a no-brainer, as the powers-that-be in Hollywood were, in effect, congratulating themselves for getting involved in the 1979 rescue, since the movie focused on a phony movie being made in Iran as a ruse to enable the rescue. Limbaugh also had praise for the talent of “Family Guy” creator Seth MacFarlane, the host of the awards broadcast, despite the fact MacFarlane is a strong advocate of left-leaning political views, while Limbaugh is a champion for the political right. It’s easy to demand higher levies on the ‘rich’ when your own industry gets $1.5 billion in government handouts. The first lady made an appearance via video to paid tribute to Hollywood. Paid tribute, indeed. It was a video clip in desperate need of a caption. During the inaugural luncheon Monday, Michelle Obama could be seen blatantly rolling her eyes at something House Speaker John Boehner told her husband. The moment was fleeting. As Michelle Obama was seated in the middle, Boehner leaned back for a word -- and apparently a laugh -- with President Obama. There was no audio on the three of them, but the first lady's face said it all. 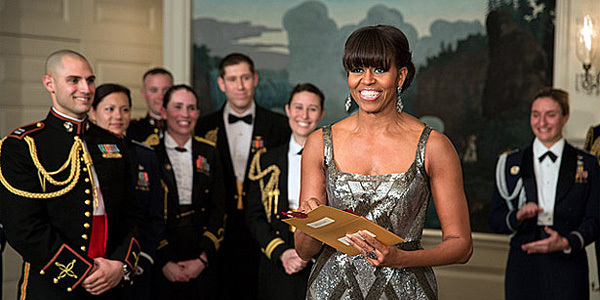 As Boehner addressed the president, he tapped Michelle Obama's arm. She glanced up, and quickly looked back down. Then Boehner appeared to crack a joke. He smiled, the president laughed -- whatever Boehner said, it made Michelle Obama pause from her lunch for a few seconds, visibly shaking her head and giving the speaker's comment a hearty eye-roll. The moment was then interrupted when Sen. Chuck Schumer had everyone join in a round of applause for the chef and caterer. President Obama and Boehner have been at odds for months over a string of budget issues. After the latest deal to avert the fiscal crisis, Boehner said he would no longer negotiate with the president one-on-one. Whether the two were getting chummy again at Monday's lunch is unclear -- but it didn't look like the first lady was buying it. Michelle Obama attends and promotes a “Black Solidarity” event for guest lecturer Manning Marable, who was, according to Cornel West, probably “the best known black Marxist in the country.” The event is the work of the Third World Center (TWC), a campus group whose board membership is exclusively reserved for minorities. Michelle Obama (Robinson at the time) was one of those 19 board members and a leader of the organization. She helped to dispense what was, in today’s dollars, a $30,000 budget. Of the 19 elected positions on the board, there were two reserved spots for each of the five ethnic groups TWC purported to represent: Asian, Black, Chicano, Puerto Rican, and Native American. The board also had representatives from the various minority organizations on campus, including Accion Puertorriquena y Amigos, the Asian-American Students Association, the Black Graduate Caucus, and the Chicano Caucus, among others. She also fundraised for the TWC by participating in its African-themed fashion show and fundraisers (see picture here). It was a controversial and racially-charged organization. And in looking at the group’s racial focus before and during Michelle’s tenure, we get a glimpse of her priorities while at Princeton. Daily Princetonian article showing Michelle as a board member. If ever there was an example of the TWC governing board’s obsession with race, an editorial from October 21, 1981 is it. The members took great offense to an op-ed titled “Rebuilding Race Relations,” calling the article “racist, offensive, and inaccurate” for daring to question the group’s true commitment and to present a thesis on race relations counter to its own. Princeton itself, however, was concerned about the self-segregation by black students and proposed reforms to counter it, including no longer permitting black students to all room together in one dorm and integrating black freshmen into the general student body. The TWC strenuously opposed all of these reforms, arguing that integration of non-white students would harm the “support system” available to them, especially blacks. (Julie Newton, “TWC criticizes CURL plan: Minority strife would worsen,” The Daily Princetonian, October 21, 1981). While Michelle was not a part of the board in 1981, as a board member of the Third World Center starting on April 7, 1983 she joined in a different racially-charged statement reproaching the college for not doing enough to hire “Latino administrators.” In a letter a few weeks later, the TWC attacked Princeton’s administration for not replacing Hector Delgado, a minority dean of students. “This search needs to produce another experienced individual who is of minority background, preferably Latino, and who will be responsive to the concerns of Third World Center as well as the student body at large,” the TWC’s governing board wrote. Others on campus took notice of the group’s calls and expressed concern. For example, Fred Foote — the editor of Prospect magazine, a conservative monthly publication — criticized the TWC and Delgado for their obsessive focus on race. “[Delgado’s] penchant for drawing campus issues along racial lines—a penchant shared by the TWC and The Daily Princetonian—is the chief cause of racial strife on campus,” he wrote. The term ‘Third World’ implies[,] for us, those nations who have fallen victim to the oppression and exploitation of the world economic order. This includes the peoples of color of the United States, as they too have been victims of a brutal and racist economic structure which exploited and still exploits the labor of such groups as Asians, Blacks, and Chicanos, and invaded and still occupies the homelands of such groups as the Puerto Ricans, American Indians, and native Hawaiian people. We therefore find it necessary to reeducate ourselves to the various forms of exploitation and oppression. We must strive to understand more than just the basics of human rights. We must seek to understand the historical roots and contemporary ramifications of racism if Third World people are to liberate themselves from the economic and social chains they find themselves in. In November 1984, TWC’s board demanded that non-white students should have the right to bar whites from their meetings on campus. They also demanded minorities-only meetings with the deans. (John Hurley, “Black students, university debate closed meeting policy,” The Daily Princetonian, November 29, 1984). The ban was frankly unnecessary, since whites were made to feel unwelcome at the meetings if they were invited at all, but the TWC continued to press for it, arguing, too, that blacks ought to be able to bar whites from attending events aimed at discussion of “sensitive” racial issues. “The administration, by denying us these [blacks-only] meetings, is saying that we don’t have specific needs that have to be addressed this way,” David Jackson, ’87, a fellow TWC member, told the Daily Princetonian after the university officials finally rejected its proposal to hold racially limited meetings. But despite the radical and racialist character of the TWC, Michelle Robinson was an active participant and may have been attracted by that very radicalism. “Not a day went by that I did not see Michelle at the Center,” Czerni Brasuelle, TWC’s director at the time, told the Daily Princetonian in its November 5, 2008 issue. Brasuelle, director of the Third World Center from 1981 to 1983 and a friend and mentor to Michelle during and after Princeton, was herself no stranger to controversy. According to a Daily Princetonian columnist, she described the campus climate as “racist” and worried about “a lack of understanding of Third World [non-white] people.” (Barton Gellman, “Rebuilding Race Relations,” Daily Princetonian, October 16, 1981). In May 1983, Brasuelle joined calls for a minority dean, writing that “[Princeton] cannot afford to ignore our commitment to Affirmative Action with token representation of Latinos on the administrative level.” Michelle’s mentor left Princeton for a position as vice president of academic affairs at Kentucky State University at the end of 1983. In April 1983, the Third World Center held an emergency meeting where it approved a draft statement, prepared jointly with the student government’s race relations committee, calling for racial preferences and set-asides in the hiring of administrators. This is the second of a series of articles WND has developed from months of confidential in-person interviews with members of Trinity United Church of Christ in Chicago who have known Barack and Michelle Obama on a personal basis over many years. In the first story, members of the church claimed Barack Obama benefited from Wright’s “Down Low Club,” part of a documented underground subculture in which black men who engage in homosexual activity marry to maintain respectability in public. Because of the personal risk the sources perceived they were taking to speak candidly about the president and his family, their identities have been masked. View more videos at: http://nbcchicago.com. As a young single woman, Michelle Robinson was a fixture in the home of civil rights leader Jesse Jackson, who along with Rev. Jeremiah Wright “arranged” her marriage to Barack Obama, according to sources in Chicago who know the couple. “If you want to understand Michelle Obama, you’ve got to go back to Jesse Jackson,” a woman called “Robyn” for this article told WND. “Jesse should have charged her rent and board for the amount of time she spent in his home instead of her own,” she said. Santita Jackson said in an interview just before Obama took office in 2008 that she has known Michelle Obama since they car-pooled together as high school classmates. Santita was maid of honor at Michelle and Barack Obama’s wedding, and she is the godmother to the Obama’s older daughter, Malia. Robyn also pointed out Jesse Jackson Jr., a Democratic Party member of the U.S. House from Illinois, served as the national co-chairman of Obama’s 2008 presidential campaign. “It all relates back to Trinity and to the Jesse Jackson orbit of blacks here in Chicago who gave Obama legitimacy and helped him establish his identity as a black man,” Robyn explained. In an interview with the Chicago Sun-Times in August, Sandi Jackson admitted her husband, Jesse Jr., was “completely debilitated by depression,” which has forced him to put his Washington home for sale to pay his medical bills, including his treatment at the Mayo Clinic. He has been absent from Congress since mid-June, putting his House seat at risk in the November election. Obama’s retelling of an event most spouses remember precisely for the rest of their lives has caused confusion. Exactly when and how did he first meet Michelle Robinson? Before a speech at the New Economic School graduation in Moscow on July 7, 2009, Obama stated he first met Michelle in school. “I don’t know if anybody else will meet their future wife or husband in class like I did, but I’m sure you’re all going to have wonderful careers,” he said, according to Newsweek. The problem is that Michelle Obama earned her degree from Harvard Law School in 1988, and Obama did not arrive at Harvard Law School until that fall, graduating three years later in 1991. The commonly accepted story is that they first met in Chicago in 1989, when Barack took a summer job as an intern at the Chicago law firm Sidley Austin, and Michelle, who was employed as a lawyer at the firm, was assigned to be his mentor. WND has reported Allen Hulton, the U.S. postal carrier who delivered mail to the parents of Weather Underground bomber Bill Ayers in a Chicago suburb, met Obama in the summer of 1989, while Obama was an intern at Sidley Austin. In 1991, during their engagement to be married, top Obama adviser Valerie Jarrett, then serving as the deputy chief of staff to Mayor Richard M. Daley, hired Michelle to a job in the mayor’s office. 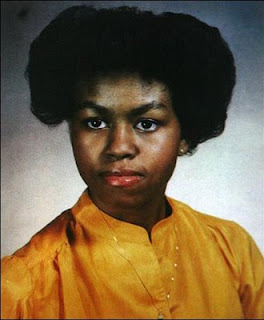 “Michelle hated working for the city even more than she hated working at Sidley Austin,” Robyn told WND. Robyn claimed that while working for Daley, Michelle just collected a check, doing very little work. 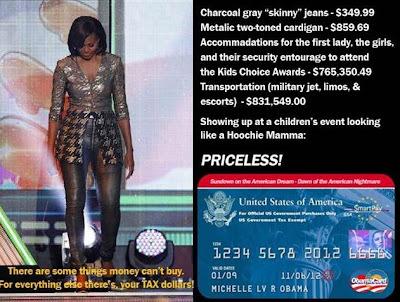 Q: Did Michelle Obama make $317,000 a year while working part-time at the University of Chicago Medical Center? A: This allegation in a chain e-mail is wrong: Obama’s reported income was $103,633 in 2007, the year she reduced her work schedule to part time. Is there any truth to this story? WHERE ARE OUR "WATERGATE" REPORTERS NOW????? Despite the fact it was buried on page 17, at least some element of the news media isn’t completely covering for the Obamas. The anonymous author of this chain e-mail expands upon an opinion piece from the conservative National Review and gets the facts wrong in the process. On Jan. 9, 2009, the University of Chicago Medical Center officially announced that Michelle Obama had resigned from her post as vice president for community and external affairs to join her husband, then-President-elect Barack Obama, in the White House as the new first lady of the United States. Michelle Obama had been promoted in 2005 to vice president for community and external affairs after three years as the executive director for community affairs. It’s true, as the e-mail (and National Review column) says, that she received a sizable pay raise that year. She went from earning $121,910 in 2004 as an executive director at the hospital to making $316,962 in 2005 as a vice president, according to tax returns filed by the Obamas for those years. But the suggestion made by the email’s author – and not made by the National Review – that she was being paid more than $300,000 for a "20 hour a week job" is not true. University of Chicago Medical Center spokesman John Easton said Mrs. Obama didn’t reduce her work schedule from full time to part time until 2007 when it became clear that her husband would run for president. "As she reduced her hours, beginning early in 2007, her salary decreased proportionately," Easton told us in an e-mail. "She switched to half time shortly before her husband formally announced his campaign, then to 20% later that year and to 0% in 2008." In fact, Mrs. Obama’s income in 2006, a year after her promotion, had decreased to $273,618. And for 2007 (the year she actually started working part-time), her income was $103,633, according to the couple’s tax return for that year. She took an "unpaid leave of absence to work on her husband’s presidential campaign" in 2008, but still received $62,709 from the hospital. However, Easton noted that her final reported salary "consists of accumulated but unused vacation time plus the final payout from a supplemental executive retirement plan." Easton said the nearly $317,000 figure is "misleading" anyway because it includes more than just her salary. He said the figure "also includes a performance bonus, a one-time signing bonus (she had other, competing offers at the time), and a one-time mandatory payout from a terminated retirement plan." This is reflected in the fact that her 2006 earnings were less than in 2005. The first lady, a graduate of both Princeton University and Harvard Law School, was quite accomplished before she joined the University of Chicago in 1996 and ultimately the medical center in 2002. Her prior work experience included stints as an associate with the Chicago law firm of Sidley Austin LLP, assistant commissioner of planning and development in Chicago’s City Hall and executive director of the Chicago chapter of Public Allies. A significant portion of the text in this chain e-mail is a reproduction of part of a column that appeared in the Feb. 9 issue of National Review; the New York Post also ran part of the magazine’s "The Week" piece on Jan. 24. (The portion of the column reprinted in this e-mail ends with the comment about Roland Burris’ wife.) It’s worth noting that the column makes some implications about Michelle Obama’s former job that are more speculation than fact. For one, the column suggests that Barack Obama’s election to the U.S. Senate in 2004 had a role in his wife’s promotion and pay increase in 2005. We can’t say what the hospital’s motivation was for promoting her. But Michael Riordan, who served as the medical center’s president at the time, told the Chicago Tribune that it had nothing to do with her husband. "She was hired before Barack was Barack,” Riordan told the newspaper. "She is worth her weight in gold, and she is just terrific." The Tribune reported that Riordan "had planned early on for the position [of executive director of community affairs] to evolve into a vice president’s post as a way of showing the organization’s commitment to community outreach." Riordan said: "I knew where I wanted to go with this position. … I wanted to identify someone to grow into it." And Easton said at the time that her increased salary was in line with those of other vice presidents at the medical center, who were earning between $291,000 and $362,000, according to the newspaper. and we’re supposed to think that “the Obamas stand up for working Americans”? A new Internet ad by the president’s reelection campaign features a portrait of the first family asking supporters to “help the Obamas stand up for working Americans.” The appeal, a departure from the typical Obama messaging, provides an early glimpse of the role the president’s wife and daughters are likely to play in his campaign. The wife and daughters are skiing in Aspen, the most expensive town in America, where they hired five ski instructors. – President’s Day 2012, Michelle and the first daughters in Aspen, Colorado to ski. – Christmas 2011, the first family in Hawaii for an extended vacation. – Summer 2011, in Martha’s Vineyard, Mass., for the annual beach break. – June 2011, the first lady, her mother and daughters traveled to South Africa and Botswana. – President’s Day 2011, the first lady and first daughters travel to Vail to ski. – Christmas 2010, in Hawaii. – August 2010, the first family traveled to Panama City Beach, Fla., for some sun and fun at the beach. – August 2010, Obama spent the weekend alone in Chicago for his 49th birthday bash. – August 2010, the first lady and daughter Sasha traveled to Spain for a mother-daughter vacation. – August 2010, summer vacation again at Martha’s Vineyard. – July 2010, the first family went to Mount Desert Island, Maine. – May 2010, the first family had a four-day trip to Chicago. – March 2010, first lady and daughter spend Spring Break in New York City. – Christmas 2009, Hawaii again for the annual break. – August 2009, at Yellowstone National Park and the Grand Canyon for a short vacation. – August 2009, their first summer vacation as first family at Martha’s Vineyard, Mass. If you’re working (a big “IF”), when was the last time you went on vacation? And forget about the 15% that are unemployed. The Obamas stand for working Americans…only if those Americans own Aspen Skiing Co.
Barack and Michelle Obama wait backstage at the Congressional Black Caucus Dinner in Washington in September 2009. Michelle Obama was privately fuming, not only at the president’s team, but also at her husband. In the days after the Democrats lost Edward Kennedy’s Senate seat in January 2010, Barack Obama was even-keeled as usual in meetings, refusing to dwell on the failure or lash out at his staff. The first lady, however, could not fathom how the White House had allowed the crucial seat, needed to help pass the president’s health care legislation and the rest of his agenda, to slip away, several current and former aides said. To her, the loss was more evidence of what she had been saying for a long time: Mr. Obama’s advisers were too insular and not strategic enough. She cherished the idea of her husband as a transformational figure, but thanks in part to the health care deals the administration had cut, many voters were beginning to view him as an ordinary politician.